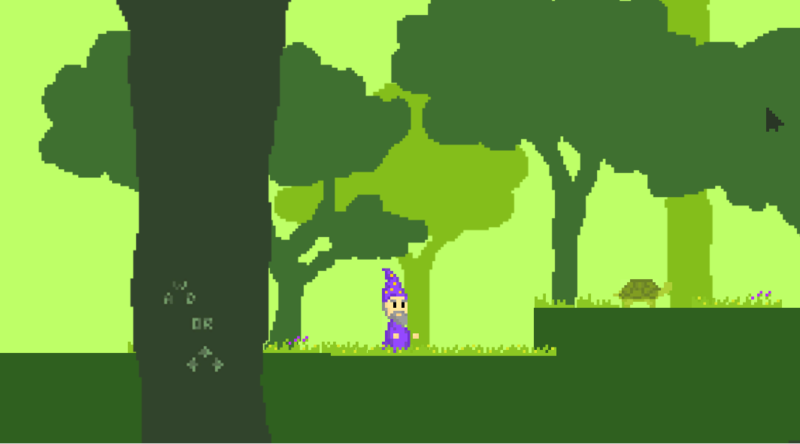 Ambrosius the sorcerer is taking a walk through the forest. To make things fun, he decided he will get creative and use a single spell to overcome all obstacles he may come across with: Petrificus Temporarius. I really like the concept. It gets a bit difficult around the second platform, since the birds are so small and the spell length is so short. Perhaps it would have been neat if the birds froze into stone blocks that were easier to push around (which could also make it easier to click on them)... Or if Ambrosius could pick up statues (and catch falling statues). Overall, a fun concept! Great work! I'm glad you liked it! There's actually a solution for the second puzzle (the one before the logs) which is very easy to execute :) Something I thought it was very interesting about the game is the potential for the existence of multiple solutions, The puzzle with the logs might be a bit tricky perhaps, I'll have to perfect the mechanics. Thank you for the suggestions!